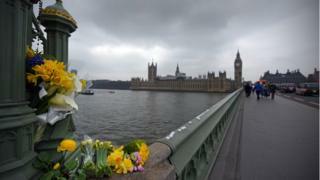 Lives were torn apart by “82 seconds of high and terrible drama” in the 2017 Westminster attack, an inquest into their deaths has been told. Khalid Masood ran down and killed four people on Westminster Bridge before stabbing a policeman to death. The attack, on 22 March, “cruelly and brutally” ripped victims from their families, said the husband of Aysha Frade, who was killed on the bridge. Tributes to the five have been read out on the first day of the hearing. Those hit by Masood’s car were Kurt Cochran, Leslie Rhodes, Aysha Frade, and Andreea Cristea. PC Keith Palmer was killed in the forecourt of the Palace of Westminster. He made the “ultimate sacrifice”, a colleague told the Old Bailey. Judge Mark Lucraft QC, chief coroner of England and Wales, said “the lives of many were torn apart by high and terrible drama” that day in little more than a minute. 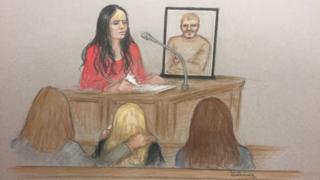 He warned that video footage shown during the inquest would be “graphic and shocking” and some family members chose to leave the court when it was played. 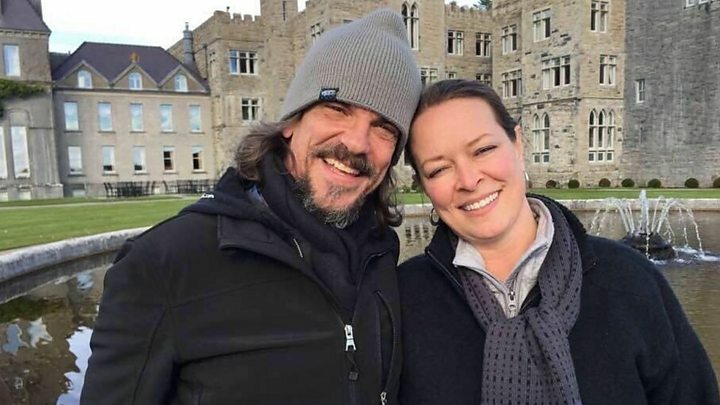 Among the images shown was one of the moment US tourist Kurt Cochran saved his wife’s life by pushing her away from the path of Masood’s car before being hit by it himself. Gareth Patterson QC, representing three of the victims’ families, said people were hit like “human bowling pins” and “thrown in the air like rag dolls”. Mr Patterson said Masood would have “seen and heard every impact as he drove over the bridge”, suggesting there was “no getting away from the barbarity of what happened and the inhumanity of what took place”. Det Supt John Crossley, who led the police investigation, said the attack began at 14:40 when Masood’s vehicle, a rented Hyundai Tucson, mounted the kerb on Westminster Bridge, travelling at an average of 31mph. Mr Cochran – who was standing with his wife at the south end of the bridge – was the first to be hit. The CCTV also showed Mr Rhodes being knocked into the air and dragged by Masood’s car. He was taken to hospital, but died the following day from head injuries. Ms Frade was thrown 17 metres into a bus lane, then fell under a slow-moving oncoming bus. Ms Cristea was knocked into the Thames from the bridge and was in the water for nearly nine minutes before being rescued. She died just over two weeks later. After crashing his car, Masood got out and ran around the fence to enter the Palace of Westminster’s Carriage Gate, where he continued his attack. PC Palmer, who was unarmed, challenged him but was forced backwards into the Parliamentary estate and stabbed. One of the CCTV images seen in court showed Masood standing over PC Palmer with a knife in each hand. The court heard two of his colleagues ran towards the attacker to give PC Palmer the chance to get away, but he collapsed a short distance away. At the beginning of the hearing, a minute’s silence was held and members of the victims’ families embraced one another. The families and friends of victims read out tributes to their loved ones. First was Mr Cochran’s sister-in-law, Angela Stoll, who read out a tribute on behalf of his wife Melissa, who had travelled to the inquest from the US. She said: “I was so lucky to have had 25 wonderful years with the man of my dreams. He made me laugh every single day. She said she was “forever grateful” for their time together, “and especially his heroic actions on that day, saving my life”. Relatives of those who died came to court number one today, nearly 18 months after the attack, to share their memories, their pain and their loss. They read, through tears, powerful tributes to their loved ones from the witness box in front of a full, hushed courtroom. Pictures of those who died were put up on big screens for all to see. As the events of that day last March were recalled, the coroner warned them of the harrowing and graphic footage ahead. He told them they could leave if they wanted to – and some did. 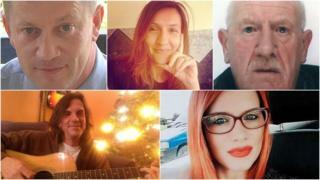 Those left behind watched as the horrifying footage was played of the attacker driving erratically along Westminster Bridge and ploughing into pedestrians. The families will return to the Old Bailey on Tuesday. They’ll be hoping the days and weeks ahead will give them answers about the final moments of their loved ones’ lives. Ms Frade’s husband John said she had been “cruelly and brutally ripped away from us”. “Her spirit lives on in the eyes of her children,” he added. Romanian interior designer Ms Cristea, who would have turned 33 on the day the inquest began, was walking with her boyfriend Andrei Burnaz on a visit to London when she was hit. Her family described her as a “lovely, enchanting and life-loving” woman, who had a thriving business. PC Palmer’s sister Angela said he had “died protecting strangers whilst doing his job and he will be remembered by many for his courage and bravery”. Chief Inspector Neil Sawyer said the 48-year-old constable had made the “ultimate sacrifice”. Amanda Rhodes, the niece of retired window cleaner Mr Rhodes, told the inquest the family was “devastated” and “incredibly angry” about the 75-year-old’s death. The inquest is set to last about five weeks. A separate inquest into the death of Masood will be held but only once the one into his victims’ deaths has concluded. The coroner is expected to examine Masood’s background, police records, and look into the fact that he briefly featured in MI5 investigations in 2009 and 2010. The absence of armed officers at the scene will also be examined.